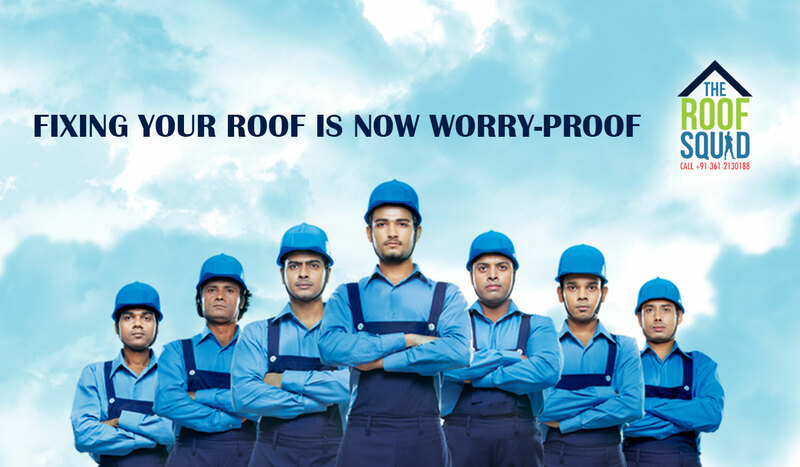 With Roof Squad, you are guaranteed quality craftsmanship,and top notch customer service you can truly depend on.The Roof Squad team is a group of skilled and highly trained professionals who care deeply about the quality of their work and the people they work for. All you need to do is browse through the DynaRoof range of products, select your choice of color and product and hand over your worries to the Roof Squad. The DynaRoof professional squad of experts is at your disposal, to help with the installation and selection of the product too, should you need advice on that. 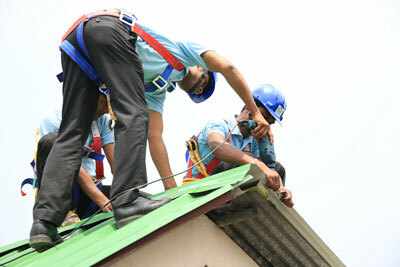 The services of the Roof Squad is available through a 24×7 help-desk. 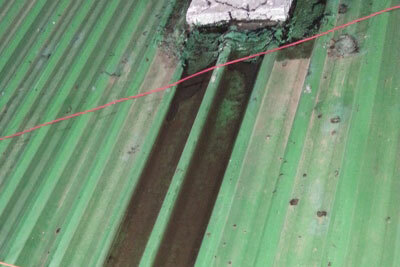 The story never ends as inspection, advice and installation facilities by the expert squad runs throughout the year. A professionally trained squad to inspect and address queries. A promise to use superior quality products to ensure perfect fitting. Enhanced aesthetic appeal due to expert advice. 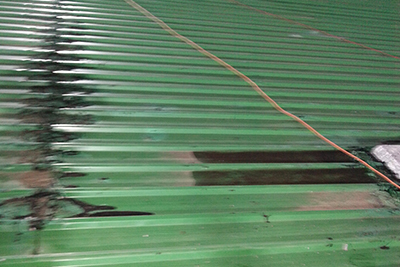 Customized roofing products to fit your needs and make your roof leakage and seepage proof. 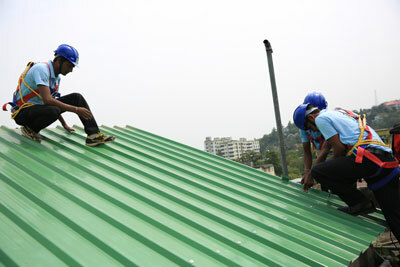 You enjoy a one year warranty on installation,services and inspection facilities. 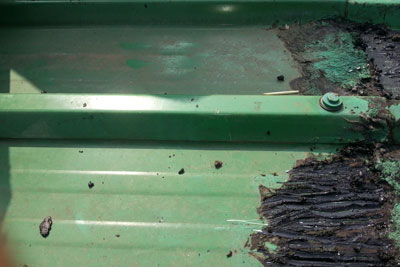 Installation by trained professionals ensures minimum wastage,reduced costs and enhanced aesthetics.Untrained fabricators lack the skill to monitor wastage or costs. 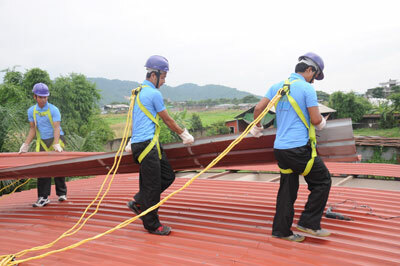 Roof Squad team values customers time and completes projects within a stipulated time frame. 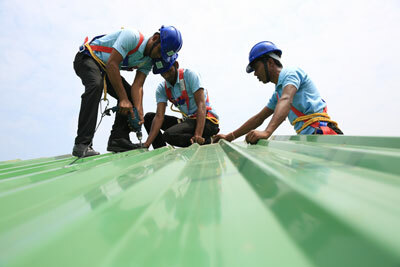 Unskilled workers do not maintain time schedule and delay completion of projects. 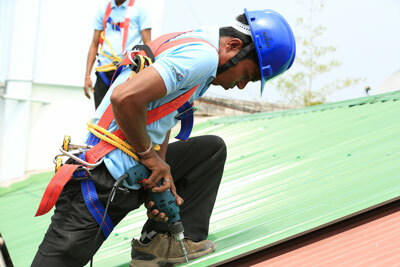 A strict adherence to safety norms is followed by Roof squad team members.Unskilled workers follow hazardous practices at work and put themselves and others in danger. 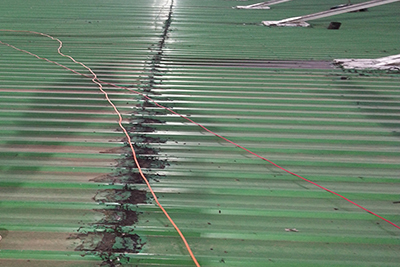 Roof Squad team uses imported accessories and Xylan screws that prevents rusting of purlins and roofing sheets.Unskilled workers use locally made accessories which cause damage to roofing sheets. 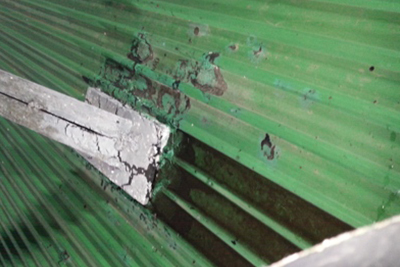 Site supervision by senior executives ensure good workmanship.Work done by unskilled workers exhibit poor workmanship due to lack of supervision.